Online apparel shopping is becoming very popular in India. At this stage most of the consumers shop from online portals as an experiment basis. Once they had good experience they continue shopping from their preferred online shopping portals. Online shopping is getting popular for few reasons like; consumer can purchase clothes 24X7 days. It takes only 5-10 minutes to place an order if customer is preregistered. Consumers get discounts in shopping online which is sometime higher than the stores provide. Working parents save time through online shopping. Online shopping portals even offer more choices for buying than stores. Companies deliver goods in 24 hours to 5 working days according to the distance from distribution centers. Most of the site has payment option 'cash on delivery'. Consumer even can exchange purchased goods if they don’t like or it does not fit them. In a single sentence we can say online shopping saves time, saves money and gives access of variety of products. So why not have an experience online shopping? Online shopping in India is not a new idea but recently number of web portal launched specially for apparel products. More and more young entrepreneurs are getting into this e-retailing business. This article may help them to find who are in this business. Brands selling own clothes on their E-retailing site. All leading brands have their online shopping portal with regular stores. E.g. shoppersstop, Pantaloons, fabindia, madameonline etc. Designers also sell sells their designers production on their sites. 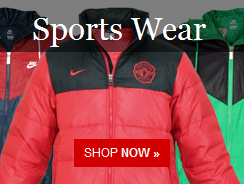 Online shopping portals those sells only apparel products. Site especially made for retailing clothes and accessories. Few sites sell bags, shoes as auxiliary items. Within these portals each one have specialty. Online shopping portals those sell clothes with other products: Most of the popular online shopping sites sell apparel products. To name few sites amazon.com, ebay.com, infibeam.com/apparel, yebhi.com. We have listed few sites those are mostly known to us. There are many sites out of this list. You can refer to us a site that is missing. Following sites are launched in between 2004 to 2010. To provide you a brief profile about the web portals we have taken text content from sites. Myntra.com: Myntra.com is ranked among the top 10 e-commerce companies in India and is scaling rapidly. Myntra was started by a group of IIT/IIM graduates in early 2007 and is headquartered in Bangalore with regional offices in New Delhi, Mumbai and Chennai. The company is funded by top tier Venture Capital Funds and is now among the best funded e-commerce companies in the country. Mangostreet.com: MangoStreet.com is India’s first online store for branded kidswear, incorporated to bring best brands and largest collection of apparels & accessories to the doorsteps of parents who couldn’t stop pampering & surprising their kids. Inkfruit.com: Inkfruit is Asia’s largest co-creation brand for people to submit, discover and buy amazing designs created by artists from around the world. The selected designs then get to you through T-shirts, Flip-flops, Sling bags, Laptop skins, etc. Based around the ongoing designing contests, all the designs you see on Inkfruit have been submitted by our community. Inkfruit officially launched in early December 2007. Headquarter in Mumbai, India. Jabong.com: Jabong.com caters to the fashion needs of men, women and kids across footwear, apparel, jewellery and accessories. Freecultr.com: Freecultr offers a seamless online shopping experience with a full range of lifestyle apparel & accessories featuring casual T - shirts, Polos, Tunics, Sweaters, Cardigans, Denims, Pants and Footwear for both Men & Women. Djeans.com: D-Jeans launched its online store in 2009 with an insight to dress the young generation more fast and more intractably with the latest Fashion and Style. D-Jeans now has become India's premier online fashion retailer and features the best International standard Designer brand in Luxury & Lifestyle experiences for men and women. DrJays.com: All product category like men, women, boys and girls are available in this site. Zovi.com: ZOVI.com is an apparel brand available exclusively online. We bring premium apparel designed with top-notch components to our customers across men's and women's categories. Bevyshop.com: Bavyshop sells clothes with other products. Yebhi.com: Online shopping store with multiple products. Wide ranges of clothes are available in Yebhi. Babyoye.com: This site is popular for kids clothing. Basicslife.com: Online apparel shopping portal for man. Trendstreet.in: Exclusive online shopping store for women. Trendstreet offers premium designer and branded fashion wear. Trendsetter offer selected products from Indian and European suppliers. Fashnara.com: Fashionara.com is an online retailer that offers merchandise in the space of fashion and lifestyle. Styletag.com: Online curated fashion and lifestyle destination, styletag.com is a 'Members–Only' shopping website that hosts flash sales for a limited period at up to 70% off retail prices from both leading designers, as well as the new stars on the horizon. The product portfolio encompasses a range of affordable luxury products that are representations of 'Style' - Apparel, Accessories, Home Decor, Perfumes, Head gear, Watches, Bags and much more. Zivame.com: Zivame is India’s largest online lingerie only store. Retailing premium and super-premium brands, Zivame provides a complete lingerie shopping solution. Voonik: Voonik is an online fashion store curated by expert stylists. Users will be able to find dress recommendations based on their style preferences, body shape, skin tone etc.